To increase safety and achieve the operational efficiency you desire from your system. Wildeck designs and manufactures a wide range of products and accessories that can be easily integrated with your work platform. 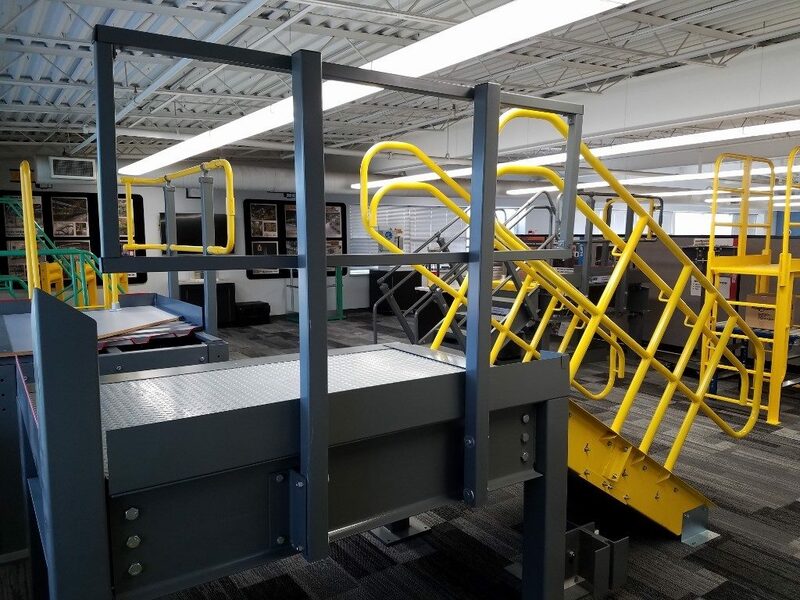 Wildeck work platforms, mezzanine guards, mezzanine stairways and landings are designed to meet ANSI MH28.3: 2009 - Specification for the Design, Manufacture, and Installation of Industrial Steel Work Platforms. Wildeck’s patented modular rail system (U.S. Patent No. 6290213) is code-compliant and conforms to both OSHA and IBC safety guidelines. 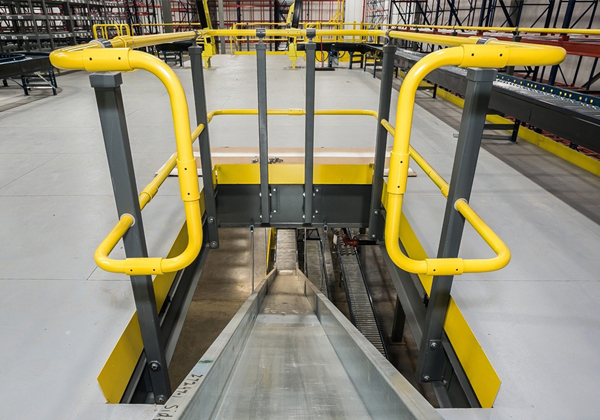 Designed to be easily installed, Wildeck mezzanine guard rail systems are among the safest and most aesthetically pleasing systems available. Standard Wildeck® steel guard railing shall be 14 GA 1-1/2" x 1-1/2" square tubing, horizontal rails with 2-1/2" x 2-1/2" x 1/8" HSS (Hollow Structural Section) uprights. Round-tube horizontal rail options available. 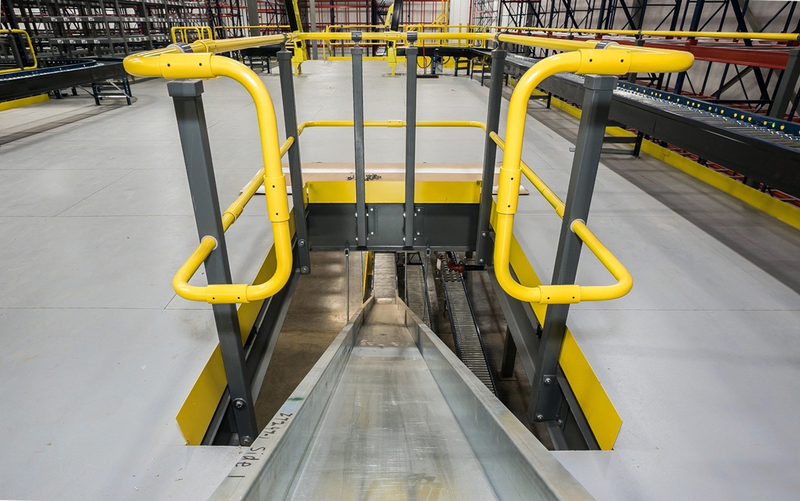 Standard Wildeck® side mounted railing is to be attached directly to (mezzanine) framing using 1/2" ASTM A325 bolts and externally attached so no usable square footage on mezzanine is lost. Surface mounted options available. 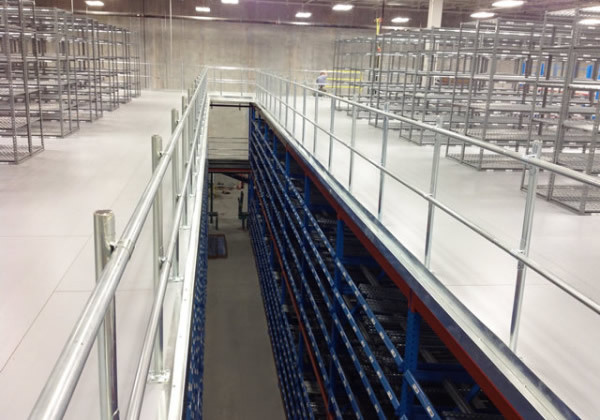 By incorporating a Wildeck© mezzanine, the overhead space can be fully utilized and the facility gains valuable working, storage and repair space at a lower cost than new construction.